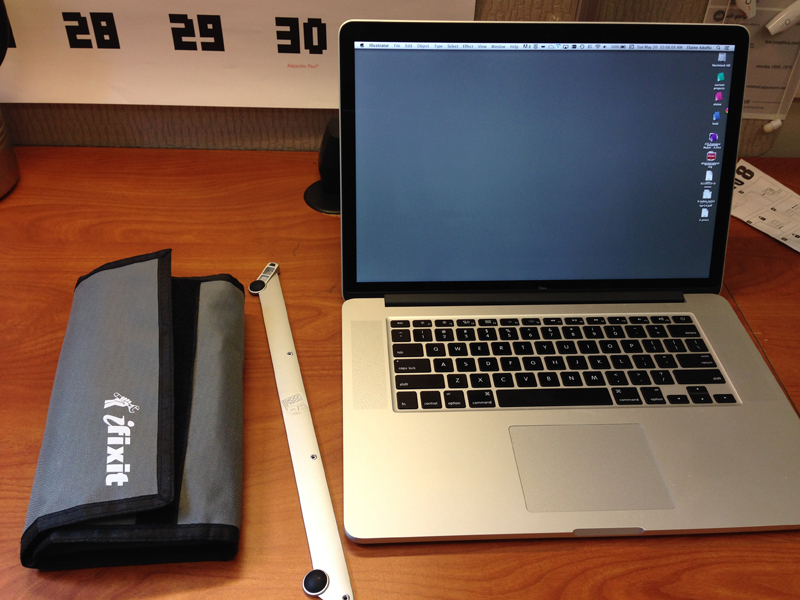 How to Lock Your Macbook Pro to Your Desk | Hi. If you’re like most people who work with a large number of people, you work in a cubicle. Or you’re gonna work in a cubicle, you just don’t know it yet. Everyone says that working in an open space is great because you get to work together and the chance for spontaneous business conversations increases 10-fold. Blah blah blah. You don’t have a choice. It’s a cheaper option to group a bunch of people in one space. This is not an editorial about whether or not it’s a good idea, I’m just worried about your stuff. I work in a building that’s relatively safe and secure. But the new space I’m moving too is open to the public in theory, thus the possibility of my MacBook getting swiped just increased quite a bit. Sure my laptop is paid by my work. But losing this laptop would be a major downer. Thus I went in search of a good MacBook Pro lock. 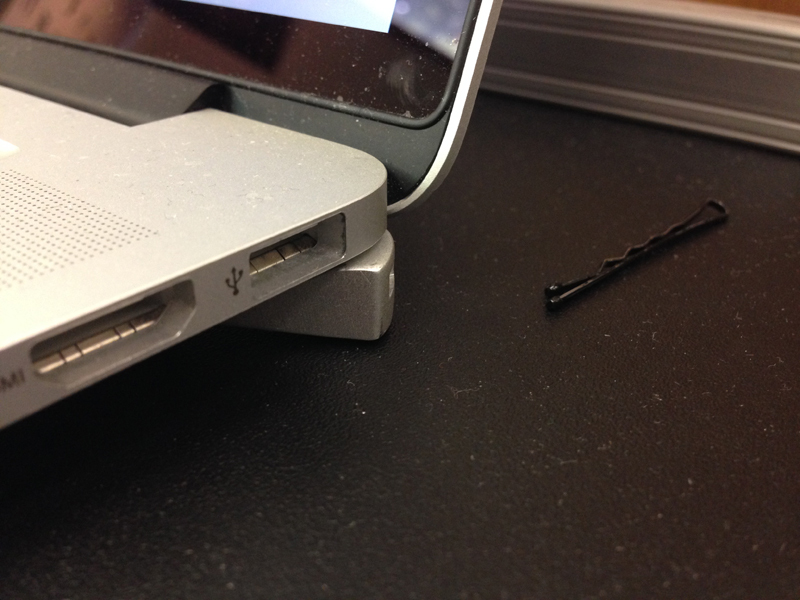 Back when MacBooks were a bit chunkier the Kensington lock was my tried and true solution. Look at that lock. Stick it in. Take the key. Done. I loved that lock. It was great. But of course Apple has progressed and now their laptops are thinner, have less USB ports, and gone is that little area where you would stick the Kensington lock. 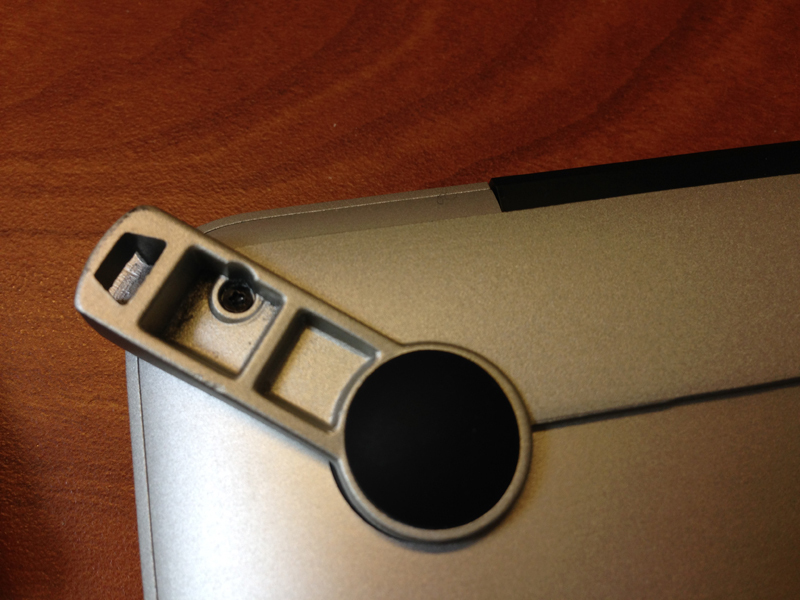 My MacBook Pro was purchased in mid-2012 and while it has a beautiful retina display, there’s no hole for the Kensington laptop lock. Sigh. And of course there is no MacBook Pro docking station with a lock. I looked around and found Maclocks. When it came in the mail it was delivered in a not-so-exciting bag. No fancy box. Just a plastic bag. I’m spoiled with Apple packaging so I was not impressed. 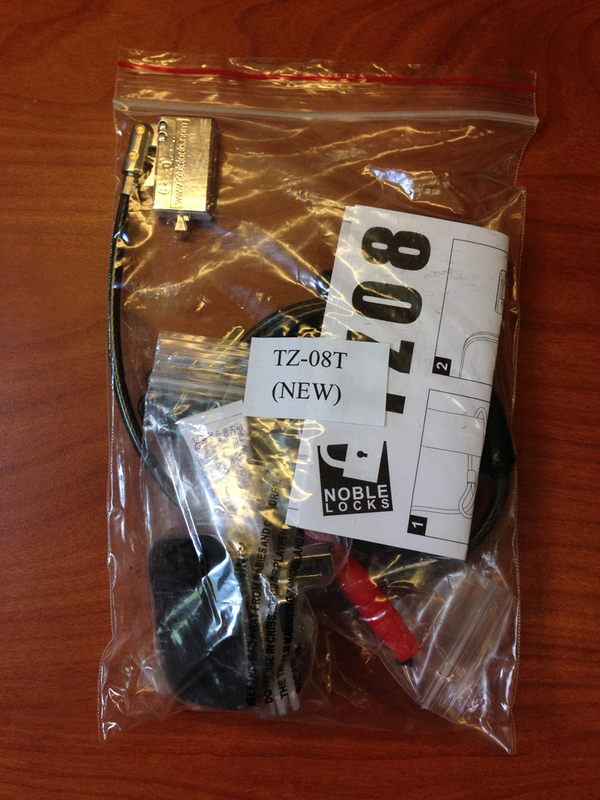 It also included a thin white box that includes the plastic-metal piece that’s laid across the bottom of your laptop. See that thin grey piece of plastic-metal below. That’s it. Maclocks gives you everything you need to install the lock. Including the tiny screwdriver you’re going to need to unscrew the screws at the bottom of your laptop. 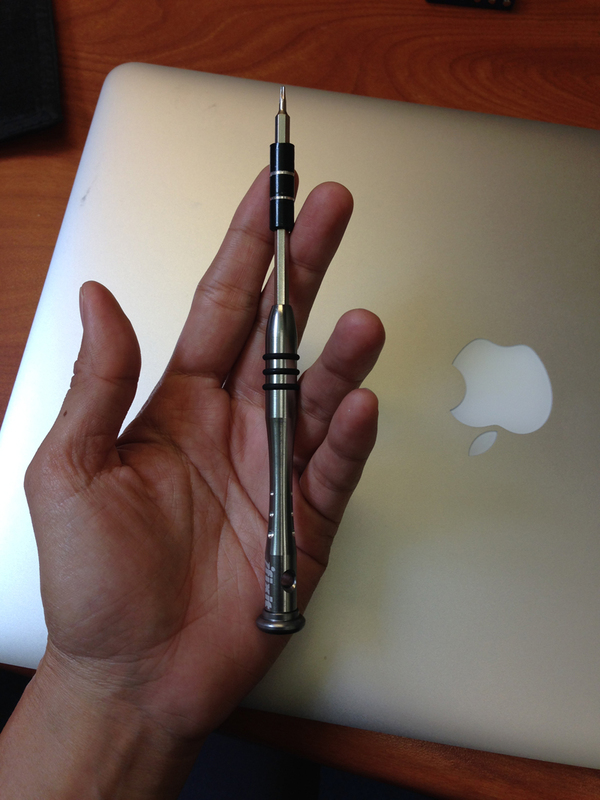 I didn’t see this screwdriver in my bag so went to my IT guys and asked if they had a tiny screwdriver. And good lord did IT have tiny screwdrivers! 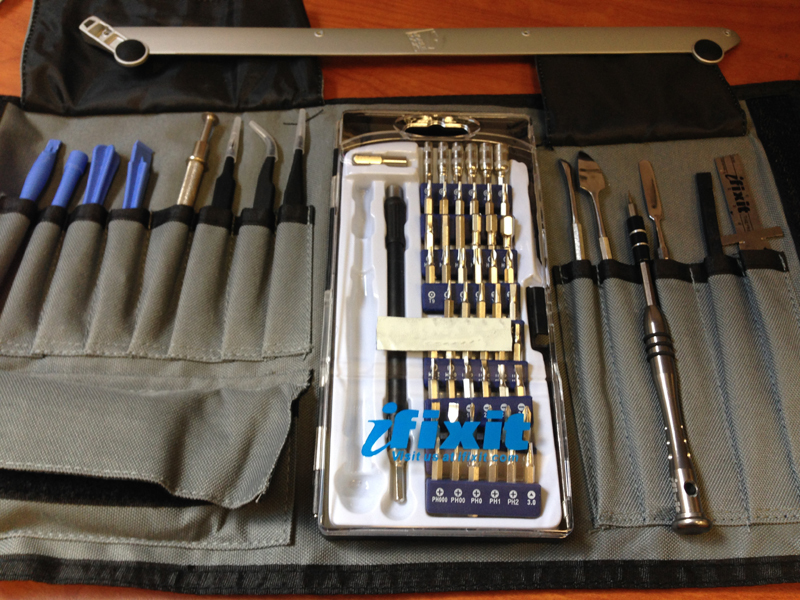 iFixit sells this packet of stuff. And I don’t know about you…but I love this sort of stuff. Just look at it. I mean really. Just look at it. It looks good. It feels good. I love metal things that do stuff. Flip it over so you can work on the back. 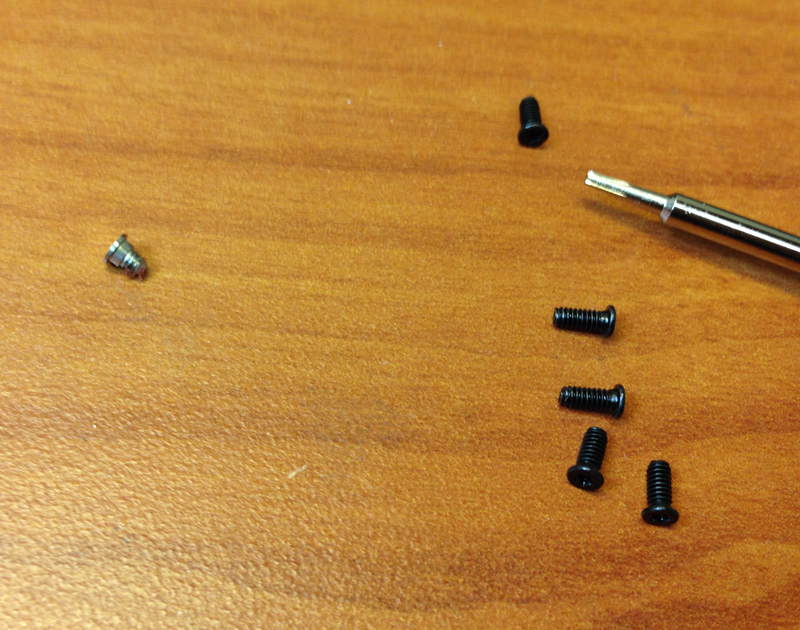 Use the tiny screwdriver and unscrew the 4 screws across the edge. 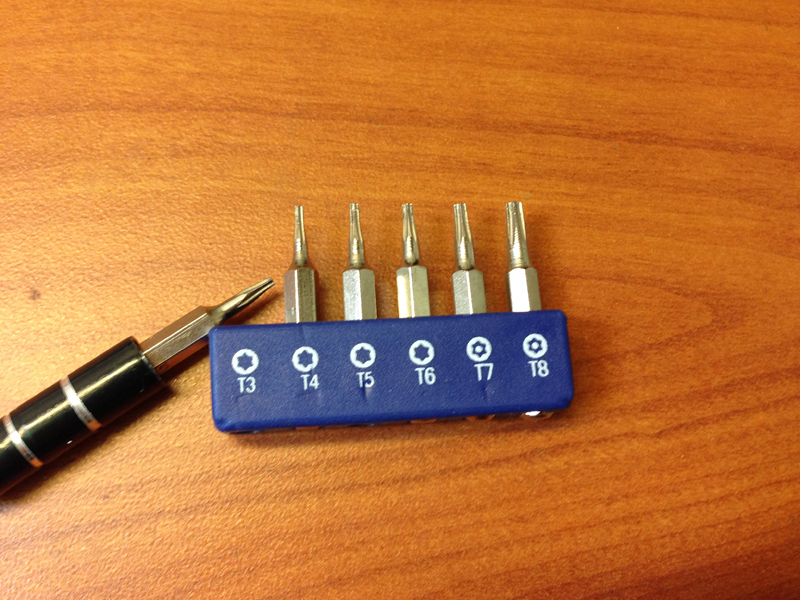 If you’re using the iFixit screwdrivers, use T3. 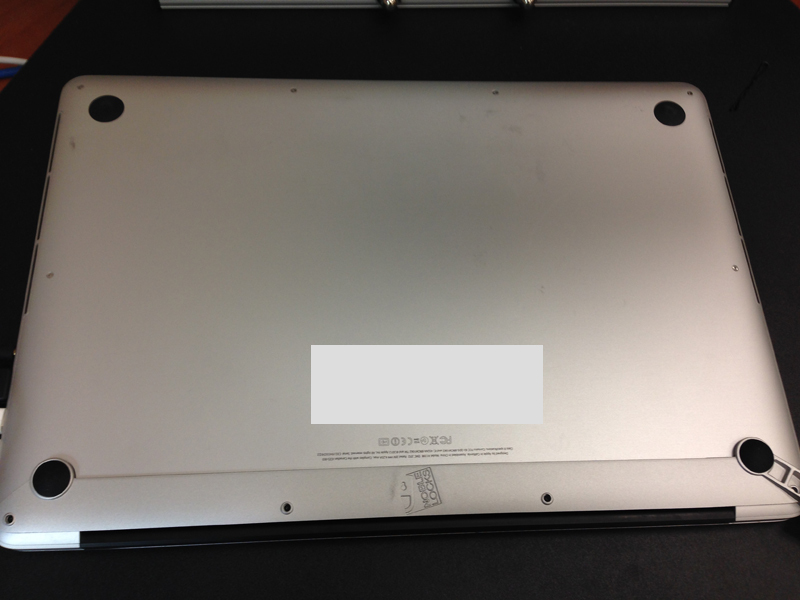 Lay the plastic-metal thing across the MacBook and line it up with the 4 open holes. See. It looks like it’s just part of your computer. The holes are really tiny. 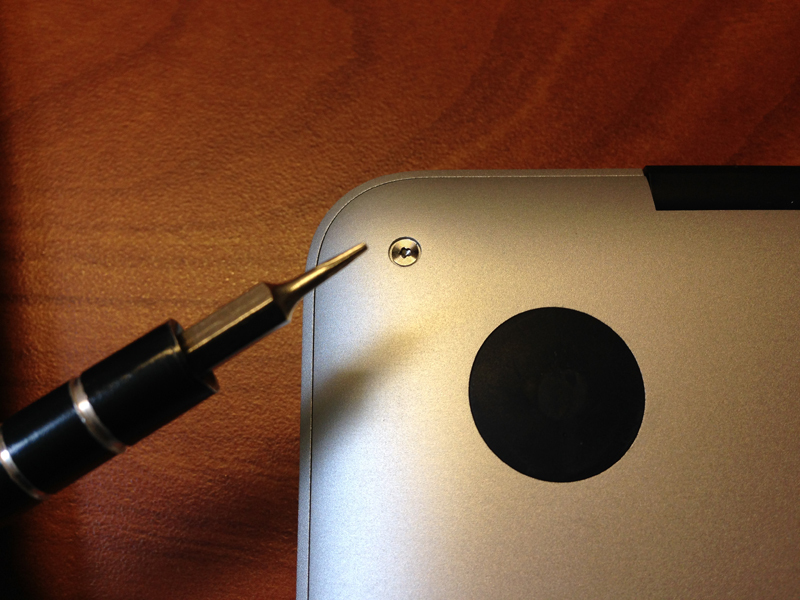 Use the black screws that Maclocks gives you. Don’t use the same silver ones that came with your MacBook Pro. They’re not long enough. See. They’re not long enough compared to the black ones. Tighten all four screws and you’re good to go. It actually looks like it’s part of the computer now. Flip over your computer and put on the desk. It should look like this. (Yes I know my desk and laptop are dusty). Now your computer is kinda raised in the back but not in a ridiculous way. Then insert the Maclock like so. Now all you have to do is be sure to wrap the metal cord around something secure that can’t be lifted up. Usually these cubicle desks have something at the bottom that you can wrap the cord around. 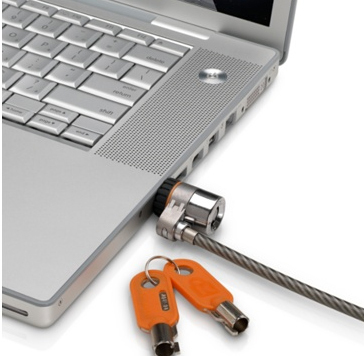 Secure your Maclock to your laptop, and you’re done. Now just note, I only bought this recently and thus I cannot say if this is reliable but from an installation and initial usage point of view….it’s very nice and seems secure. Would you still recommend the lock now that you’ve used it a while (if you did in fact use it)? Been using it for about 3 months now. Yes it’s good. I would buy this again. It’s a bit tricky sometimes to stick the key in but no issues other than that. I do like it alot. It’s strong, it’s thin enough to be out of the way.